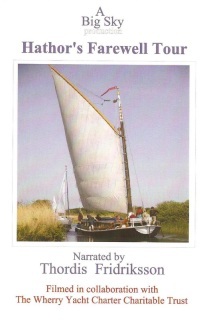 "Hathor - Return Of The Goddess"
Two disc set showing a brief history and design and restoration of the pleasure wherry formerly owned by the Colman family. The tow to "How Hill and the formal re-launch. £ 9.50 for the two disc set. Is now on sale at the City Bookshop, Davy Place, Norwich. 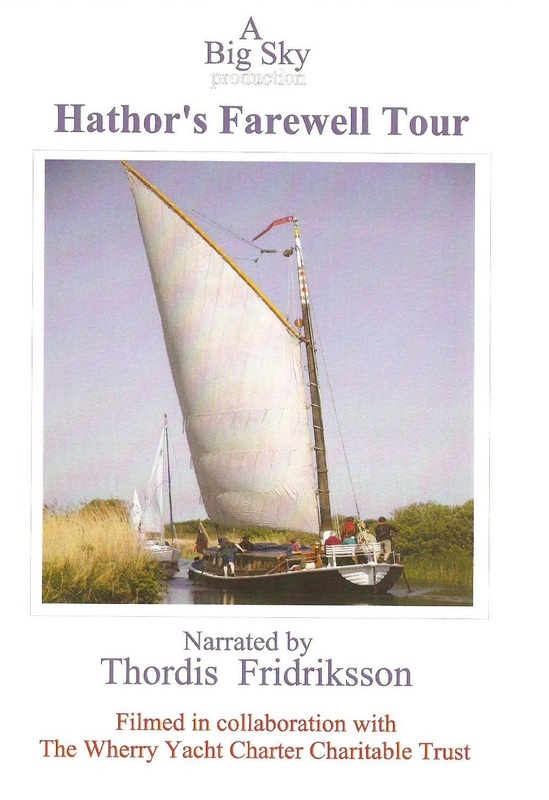 Profits from the DVDs go to maintain "Hathor"
In the summer of 2009 the pleasure wherry "Hathor" embarked on her farewell tour. For more than 100 years "Hathor" has cut a gentle bow wave across the Norfolk waterways. But now she has reached her journeys end and her return is by no means guaranteed unless sufficient funds can be raised. Every video sold will contribute to "Hathor's" maintenance and ultimate survival. Disc 1"A Wherry For Aylsham" retraces the route of the old wherries along the waterway. exploring the landmarks on the banks of the navigation. entire nine and a half miles of the river. Filmed on a glorious day in June. Money raised from the sale of DVD's will assist the conservation work of the BNCT. £6.50 per set + p&p. The lock at Briggate mill. 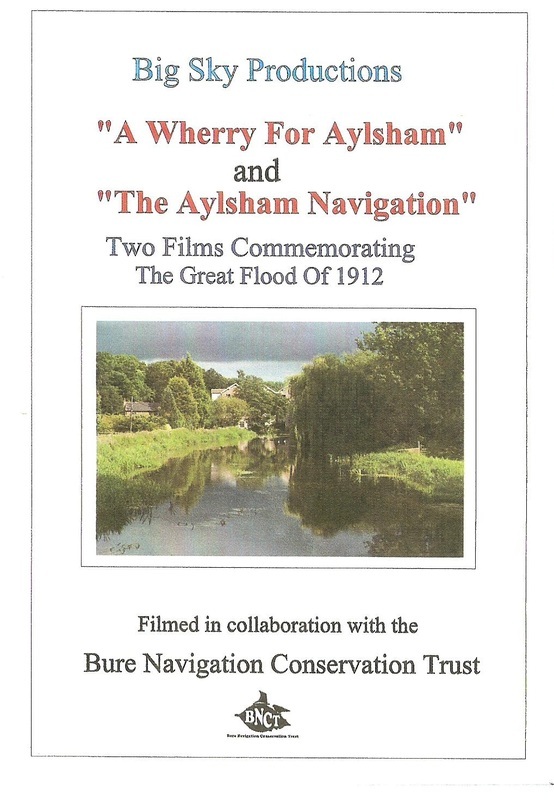 "The Battle For Bacton Wood"
The latest film shot on the North Walsham and Dilham canal. Shows the restoration of the canal at Bacton Wood. Felling numerous trees and de-silting the channel. "The Mist On The Marsh"
It's been a long time in production but on sale at last. The Mist On The Marsh takes a look at the surviving skills and tradition that were once commonplace around the waterways of East Anglia. Wild Fowlers, Eel catchers, Wherrymen, and Thatchers. Running time, 1hour 10 minutes approx.